God's desire that we obey his will is not arbitrary, impulsive, or demanding. He simply wants us to reflect his character, find his blessings, and receive his strength. Let's not look at obedience merely as something we must do, but as a blessing we get to discover. 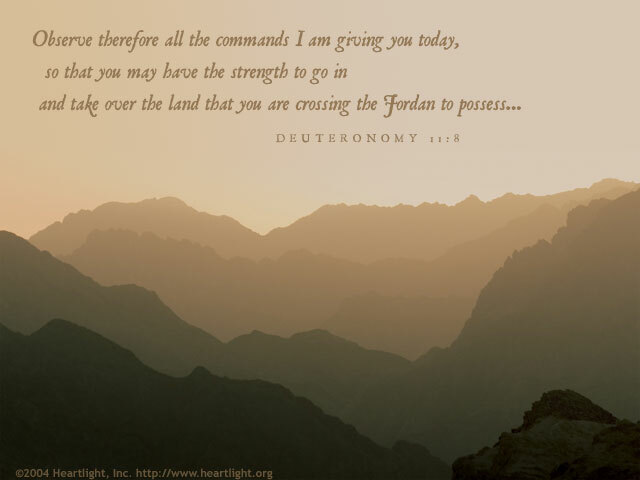 God gives us commands to obey, principles to guide us, and righteousness to seek so that we can rest in his blessing, live in his strength, and find the new frontiers where he longs to lead us. LORD and Father, thank you for revealing your will and calling me to obey it. I know your desire is to share your blessings with me and bring me into your eternal presence. In Jesus' name I thank you. Amen.